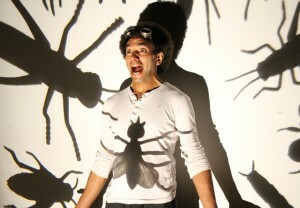 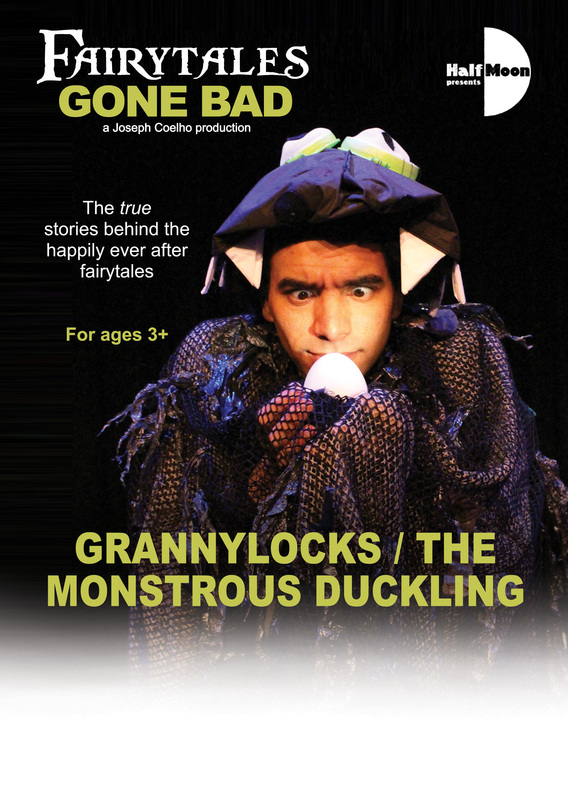 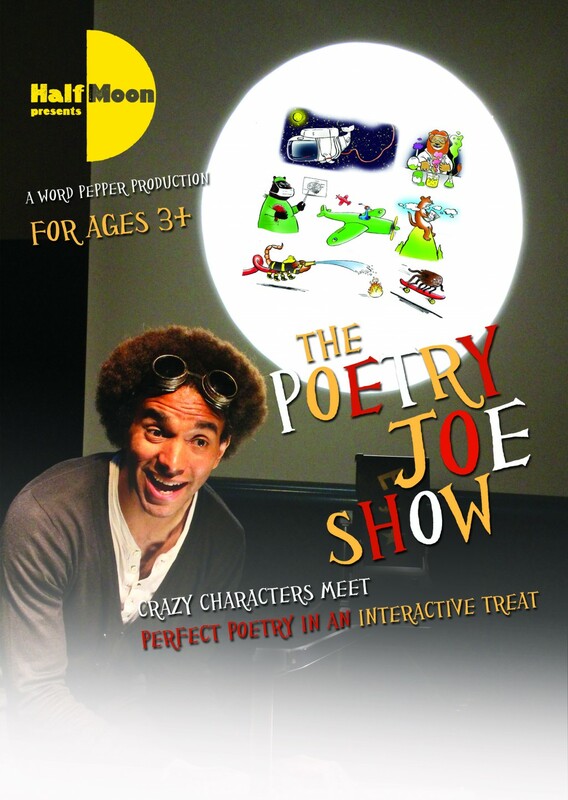 Crazy characters and perfect poetry in a fun-packed interactive show. 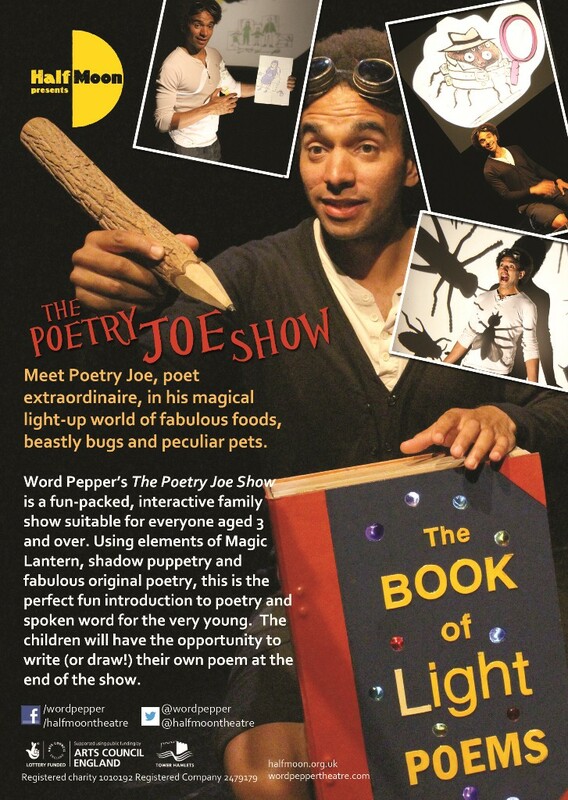 Meet Poetry Joe, poet extraordinaire in his magical light-up world of fabulous foods, beastly bugs and peculiar pets. 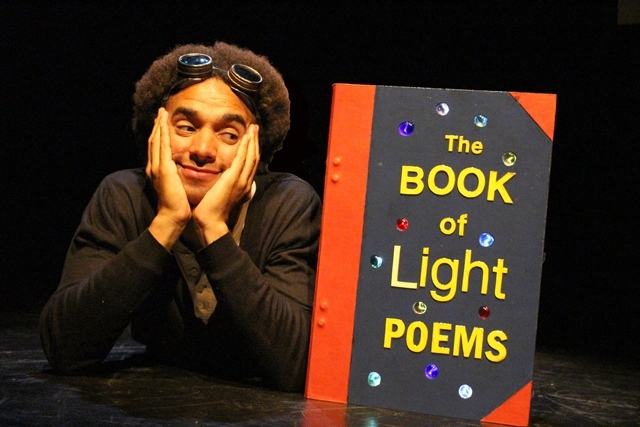 Armed with a mega-mix of quirky and beautiful pop-ups, props and pictures, Poetry Joe takes us on a poetic adventure to make new friends, including a naughty but nice hamster, a cheating cheetah and a friendly family made out of paper and light. 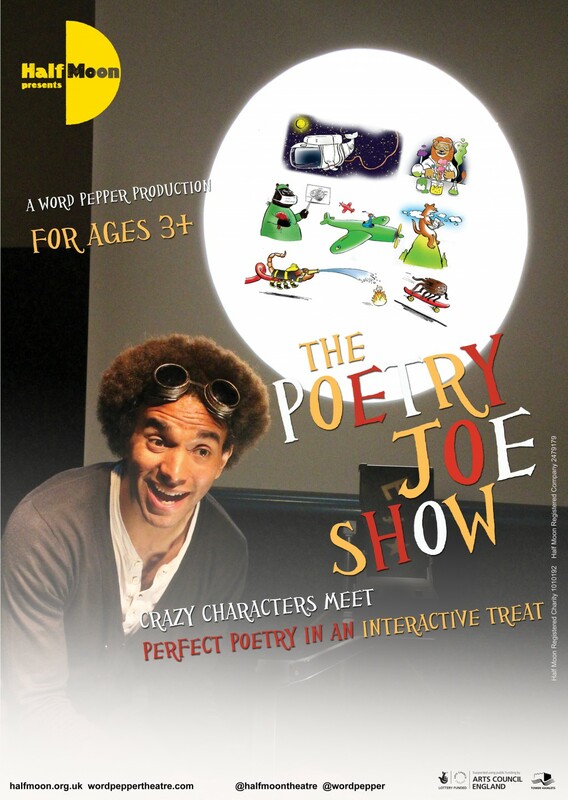 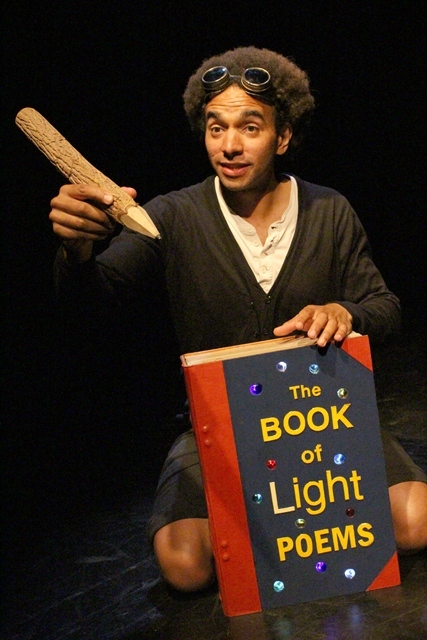 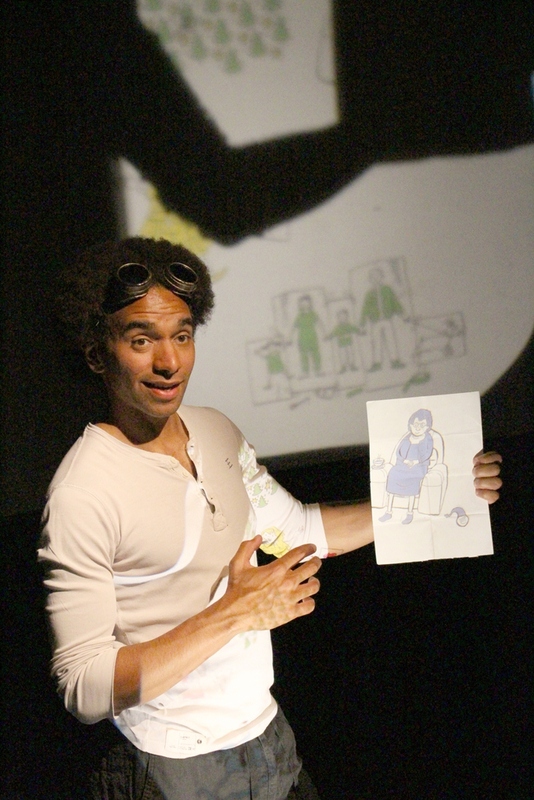 The Poetry Joe Show was a fun-packed, interactive family show that used elements of magic lanterns and shadow puppetry, framed by original poetry. The children had the opportunity to create their own poem at the end of the show. 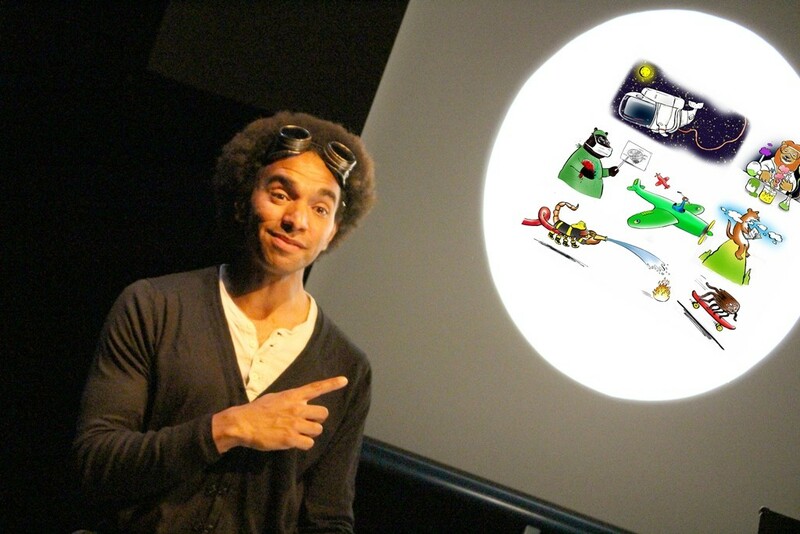 The Poetry Joe Show was developed in association with Apples and Snakes. 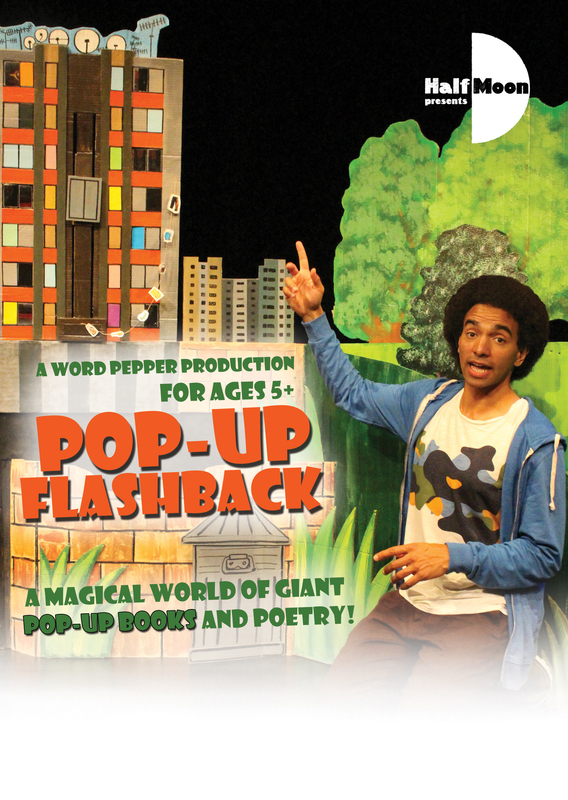 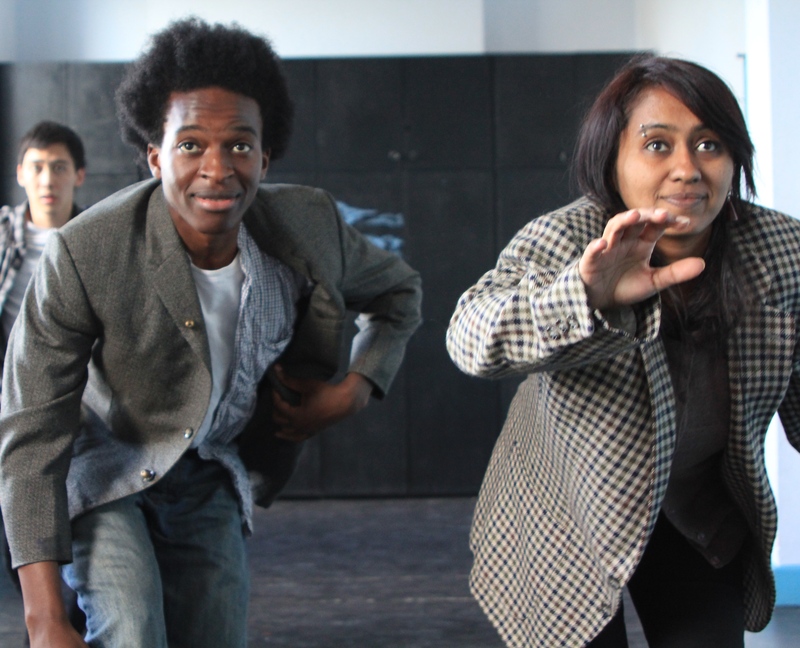 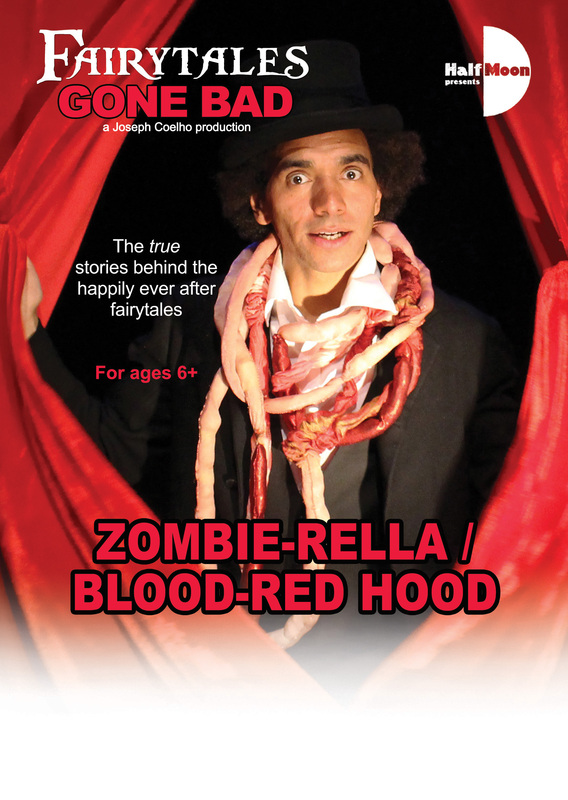 A Word Pepper Theatre production which toured nationally as part of Half Moon Presents.